Nursing and Healthcare Conference looks forward to welcoming all the participants across the world to attend “5th World Congress on Nursing and Health Care” during April 17-18, 2019 in Milan, Italy .Nursing and Healthcare Conference aims at the current issues and challenges of nursing care, management and in relation to health disparities as well as a breadth of other topics. 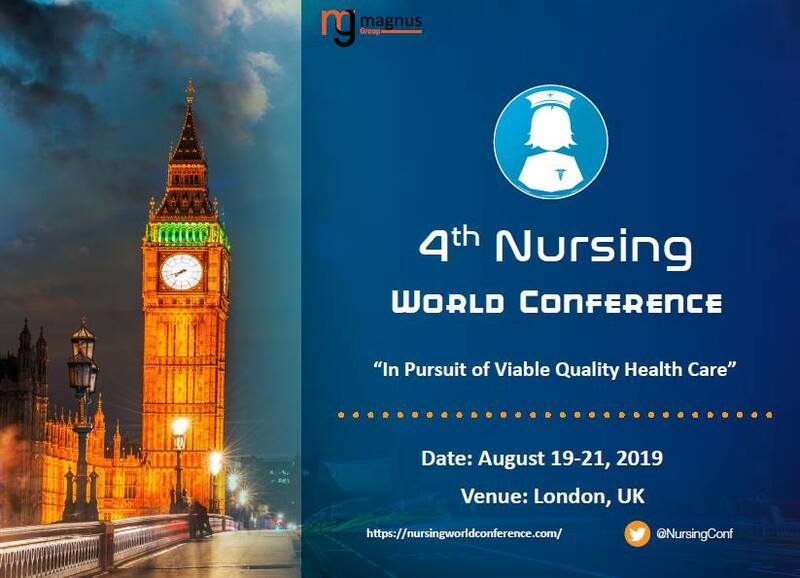 The conference theme “Innovations and Challenges in Nursing and Healthcare” that focus to share novel approaches related to nursing and exploring the challenges concerning excellence in Nursing research and advancements. The Nursing Conference is an opportunity for nursing students, faculty, deans, researchers, and leaders to participate on topics influencing nursing education. Delegates can take advantage of opportunities to learn about Nursing Conference from a various oral and poster presentations. This conference provides the delegates the opportunity of meeting and interacting with the nurses ranging from students, deans, professors and other nursing faculty from around the world. Attend the most important sessions about the present issues effecting nursing care.